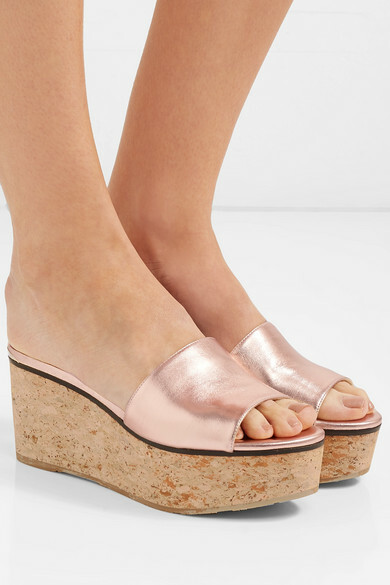 Jimmy Choo updates its signature 'Deedee' mules in a metallic rose gold leather which will shimmer beautifully in the sunlight and on the dance floor. 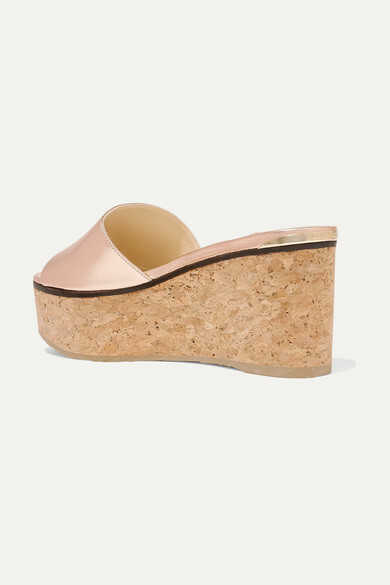 Made in Spain, this pair is set on a cork platform wedge and has a soft lining to cushion the foot. 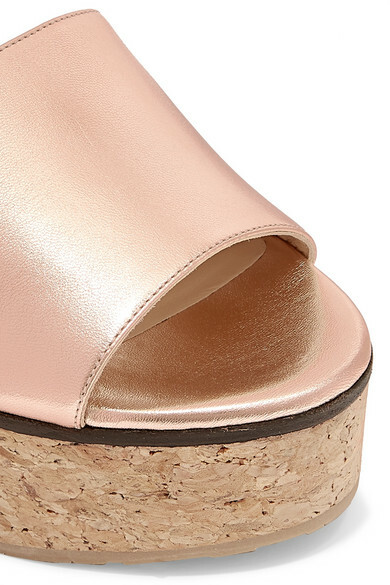 Wear them with everything from mini dresses to cropped denim. Shown here with: Kalita Coverup, Saint Laurent Shoulder bag, Chloé Earrings, Ariana Boussard-Reifel Cuff, Kenneth Jay Lane Bracelet.